When you support Father Joe’s Villages, either as a major donor, a monthly donor or a one-time giver of household goods, vehicles or money, we all get something back: a brighter San Diego. 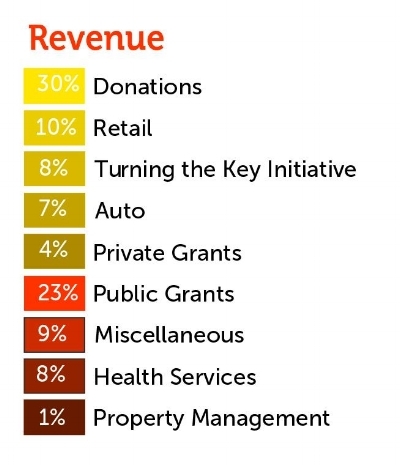 Watchdog organizations say that top-rated charities should spend at least 75% of their budget on services. Father Joe's Villages works hard to ensure that as much as your money as possible goes directly to progams helping our neighbors in need.